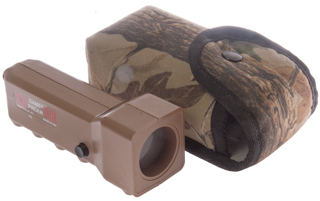 Bushnell - Range Finding Binoculars - one objective is for IR Tx and the other objective is for IR Rx. Visible view is through a small central scope. resolution is 1 meter with some hundreds of yards range to non cooperative targets, much longer with Scotch brite reflectors. 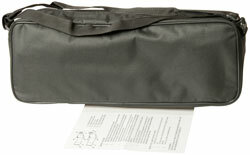 Can be used for rough surveying. 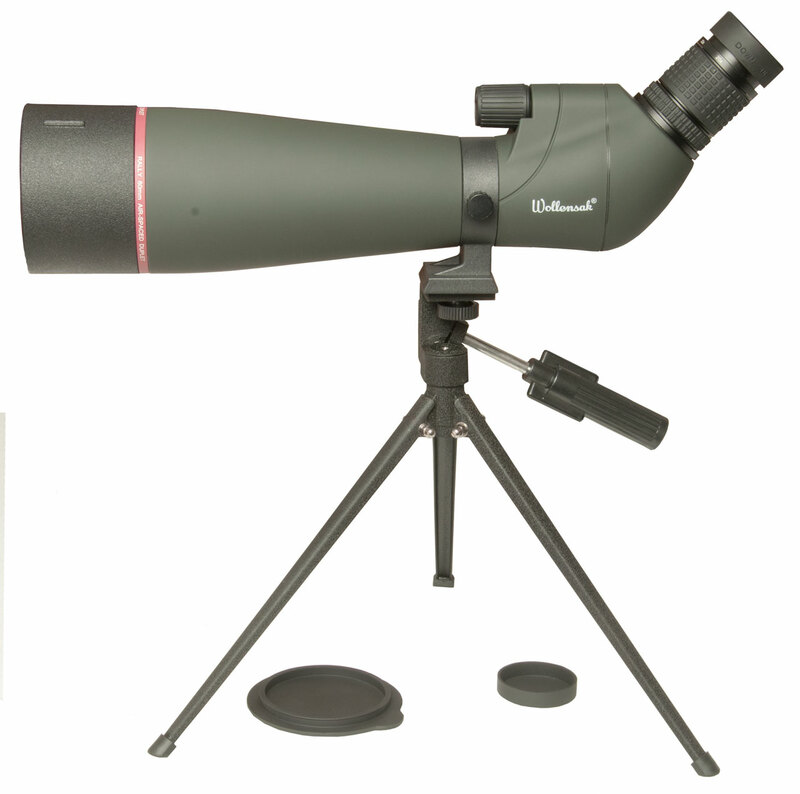 Theodolites - mainly for measuring horizontal and vertical angles with a range of a full circle in both directions. 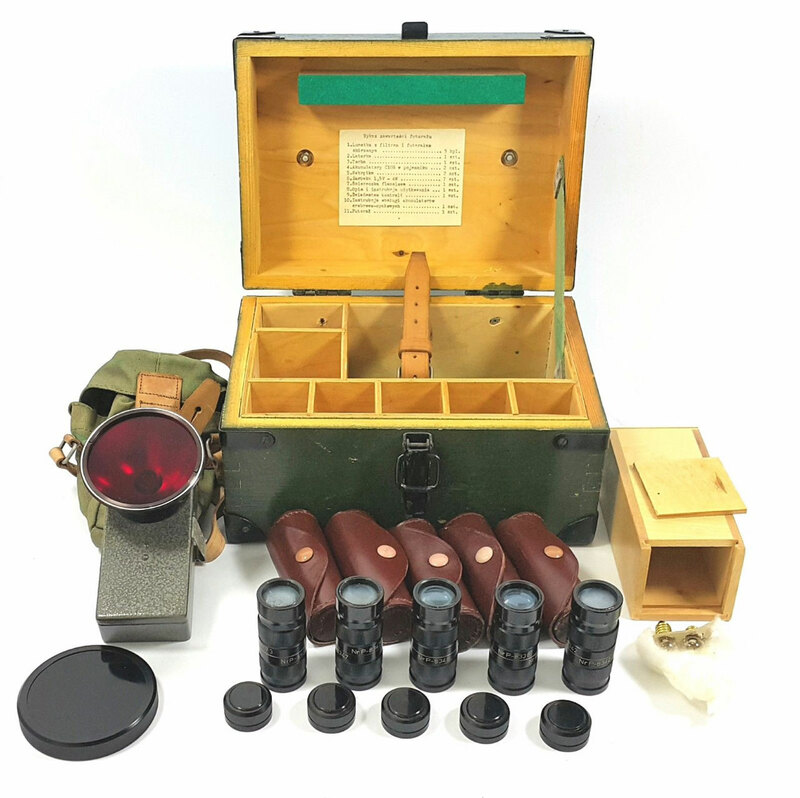 eBay title: "MILITARY IR INFRARED DETECTOR SET FLASHLIGHT SOVIET ARMY NIGHTI VISION1 NSPU AK"
These were issued in sets of 5 to allow seeing near IR lights used with early night vision equipment. They do not need batteries. Shining a UV light on the screen (Fig 3) shows no Phosphor activity. When the screen (Fig 3) is illuminated using a TV remote it turns bright green. There is no after glow, i.e. it follows the flashing of the remote. The viewing screen is a glass disk about 19mm diameter and is loose. You can hear it rattling when the unit is shaken. I don't see any provision to trap it. Fig 5 Set of 5 viewers and one near IR lamp. 3327120 Infrared imaging system using a photochromic glass viewing screen, Sidney Weiss, Jun 20, 1967, 250/461.1, 359/356, 250/330, 250/342, 348/E05.9, 348/164 - uses UV light and needs DC bias so not this case. 4705952 Communications apparatus using infrared-triggered phosphor for receiving infrared signals, Joseph Lindmayer, Quantex Corporation, Nov 10, 1987, 250/484.4, 398/202, 250/483.1 - the Quantex patents seem like this material. 4812660 Photoluminescent materials for outputting yellow-green light, Joseph Lindmayer, Quantex Corporation, 14 Mar 1989, 250/484.4, 428/691, 252/301.40S, 252/301.40H, 427/64, 428/690 - this may be the one. Peak input sensitivity (Fig 3) at 1170 nm and peak output at 500 nm. Seek Compact Thermal Imager for Android (Amazon) - seems better than the stand alone units by Fluke and others. Most models have 206x156 resolution and come in two fields of view (20 or 36 deg), but the CompactPro has 320x240 resolution, but for twice the price (about $500 list). Don't have one yet. Game Finder (home page) - a PIR sensor (requires manual scanning) with LED bar graph display. Button on right side & menu on left side, but without a manual very difficult to use. This model uses a 9V battery (see polarity marks in Fig 2 below. Unihedron Nu-B Light Source - white, blue, green, yellow, red and IR (950 nm) pulse width modulated to get about the same output from each. Carley Lamps - specialized lamps under 20 watts including lens and reflectors up to 6"
Simple things I've made for looking at electro optical effects. Hilger Watts Spectrometer - prism based, but I think there was a grating upgrade. Let me know. Also see Periscopes on my Submarine web page. The common understanding of periscopes (Wiki) comes from their use on submarines (Wiki). 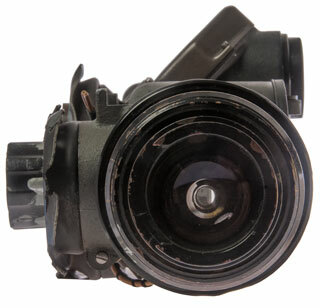 But there are also used on armored vehicles, like the M32 IR gun sight. 1. The image should be right side up (erect) and correct left to right so the direction of movement is instinctive. 2. A relay lens (Wiki) system is used where parallel rays of light are in the part of the periscope where it changes length. This way there's no effect on focus. 3. 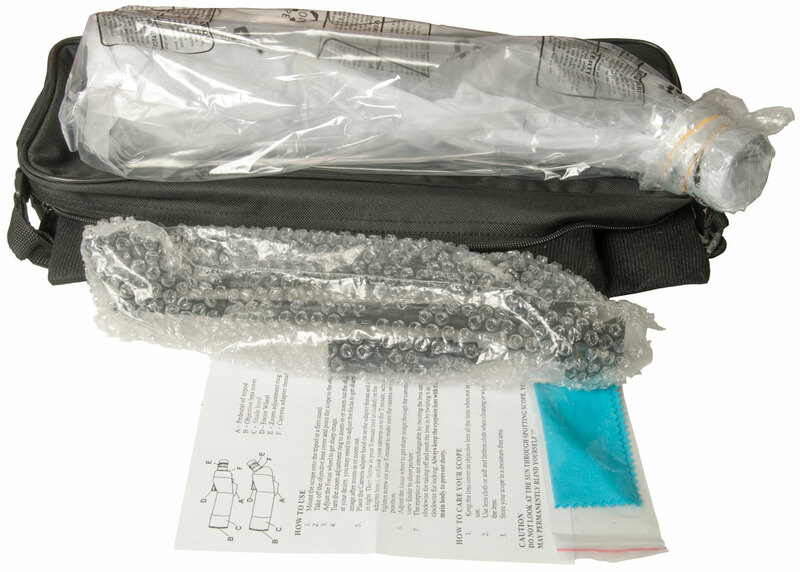 For a fixed eyepiece periscope, i.e. one where the top mirror or prism is rotated in azimuth but the eyepiece stays pointing in the same direction, some method of keeping the image from rotation with the change in azimuth is needed. 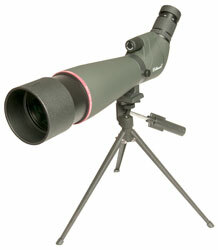 A panoramic telescope (or panoramic sight) is very similar to a periscope. They are used on fixed artillery in the process if aiming. The eyepiece is fixed so all the concepts needed for a fixed eyepiece periscope apply. The Camera Lucida (Wiki) uses the brain to fuse an image of some subject and the surface being drawn upon. But there is not a real image on the surface. Also if the eye position changes the image position changes making it use difficult. 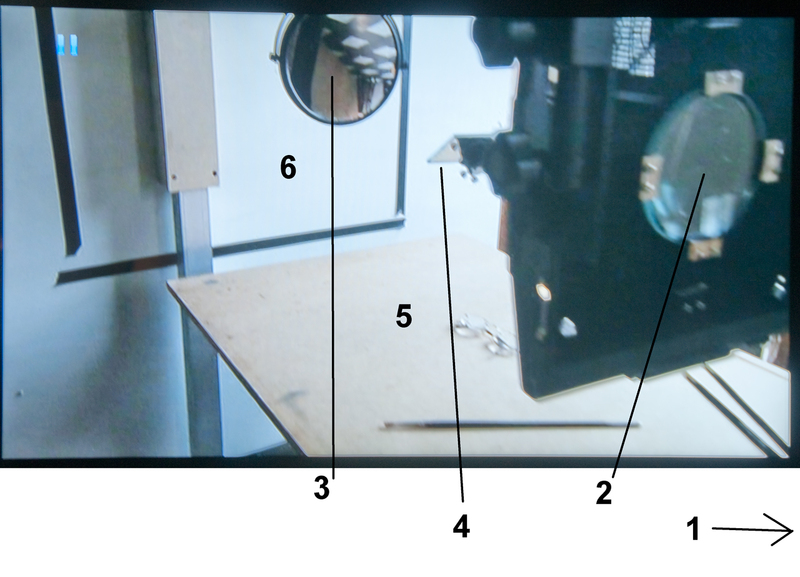 A Pinhole Camera (Wiki) depends on the idea that a small small (1/100) compared to the distance from the hole to a white reflecting surface will form an image on the surface. A lens with an f/number of 100 or greater can be replaced with a hole of the same diameter. There's a school of photography called Group f/64 (Wiki). I made a Noon Mark (Wiki) using a metal plate at the bottom edge of a long narrow skylight with a hole. It acted as a lens so instead of getting just a spot of light on the floor there was an image of the Sun. Using a 3x5 card (these were originally developed for time keeping, see Calculagraph) with a number of ellipses drawn with different ratios and matching the Sun's image to an ellipse to track the Sun until exactly noon, then stopping and driving a brass tack into the hardwood floor an Analemma (Wiki) was drawn after a year of this. After another year you could see that the brads were slightly offset, and again after three years they were in small groups. During the summer when the distance from the hole to the floor was shortest the image was both bright but not a well focused as in the winder when the image was a lot dimmer but better focused. The problem is that a well focused image is dim. A Lens can fix that problem. 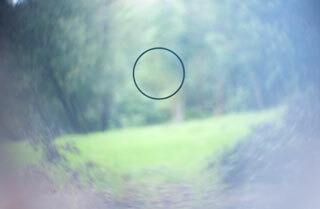 Note when a lens is it's focal length from a screen objects at infinity will be focused. As objects get closer to the lens it needs to be moved away from the screen and for an object that's 2xFL the lens needs to be 2xFL from the screen. One type of Camera Obscura (Wiki) is a dark room with a pinhole in one wall and the opposite wall a smooth white reflecting surface. But the more common version uses a lens in order to get a brighter image. 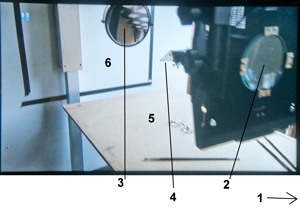 Many of the circular table type viewing screens are concave to match the focal plane of the optical system. How to figure this out? "The Voigtländer-Petzval was the first camera and lens specifically designed to take photographs, instead of being a modified artist's camera obscura."... "...it had what would now be considered severe field curvature and astigmatism" (Wiki). Edinburgh's C.O. - some technical info on lens diameters and focal distance, questionable if enough for reverse engineering. The Magic Mirror of Life by Jack & Beverly Wilgus - They have a 7' x 7' portable tent and a single person tent. The telescope (Wiki: telescope history) was a Dutch invention in the early 1600s. The microscope is invented in this same time frame (Wiki) but it wasn't until the late 1600 that Leeuwenhoek popularized the simple microscope. 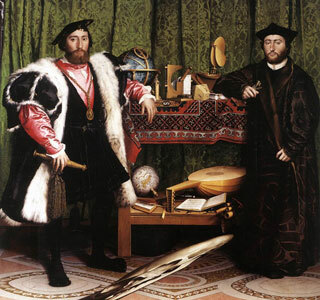 It was not a coincidence that the Dutch Masters (Wiki) were located where optics was being developed. "The new Dutch Republic was the most prosperous nation in Europe, and led European trade, science, and art." The period of the Dutch Master painters is 1615 to 1702.
another book recommended was about view cameras (Wiki) - these are portable (luggable) cameras with a ground glass viewing screen where the lens board and film holder can be shifted, tilted and/or rotated in order to control perspective or to greatly increase the area in good focus. If someone was considering building a hand held type camera obscura it would be better to just get a view camera. Although the price of a Linhof is probably about the same as an antique camera obscura. But there are less capable view cameras for orders of magnitude lower prices (eBay Large Format Film Camera). But the image on the ground glass is from a lens only and so is both upside down and left-right reversed. The New Yorker, January 31, 2000 P. 64 - The Looking Glass - This article started the Hockney - Falco collaboration. When doing focus stacking photography, in order to get great depth of filed, you can not change the camera focus setting, instead you need to move the camera and lens as a unit. The StackShot holds the camera on a rail where a computerized system triggers the shutter and then moves the camera repeatably to take dozens of images all with identical perspective that can later be combined. This same principle applies to an artist working with a lens. 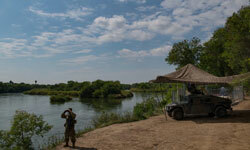 Although it's much easier to change the focus (lens to canvas distance) that changes perspective. 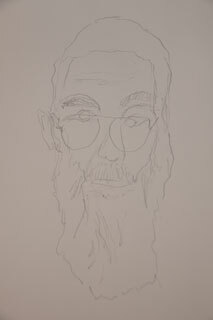 Instead what needs to be done is move the lens and canvas as a unit to bring different parts of the subject into focus. A lens alone makes an image that's both upside down and left to right reversed. So if the image is turned upside down to put the top of the subject at the top of the image it's still reversed left to right. A lens and a mirror results in an image that's upside down. But when the image is turned upside down it's correct top to bottom AND left to right. So this is a good combination for a camera obscura. 0. Note white light washing wall (6). 1. 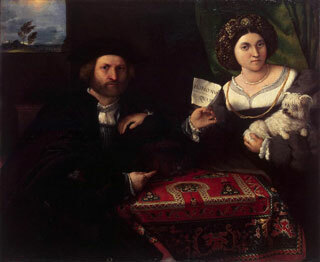 Subject to the right of photo in room with North light. 2. Lens of camera obscura. 3. Convex mirror can be positioned to project bright image. replaced with the magnifying mirror (3). 1. You can not paint when looking at the image inside a camera obscura. This is because the only color that will match the projected light is white (see note 0 above). 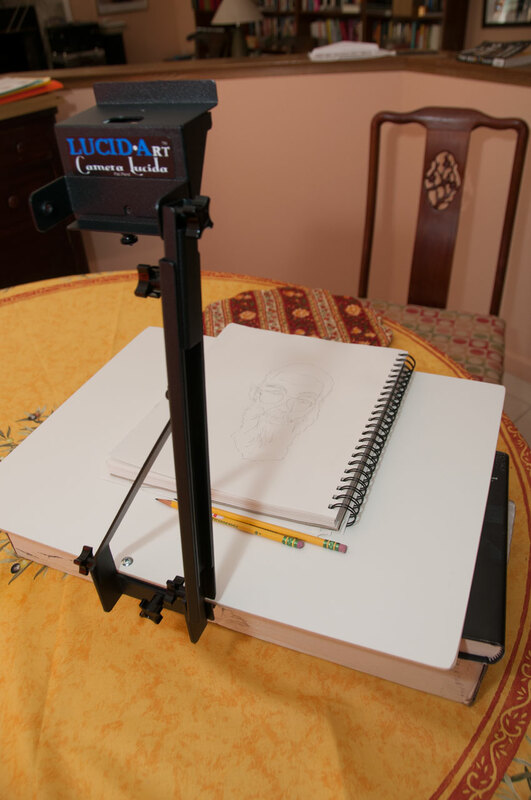 So, while you can do pencil sketches in a camera obscura you can not paint with color. 2. You can do an excellent job of color matching by using a mirror type camera Lucida (4 above). Where white light is falling on the surface of your painting. 3. If the camera obscura projects a real image the brightness and resolution will be degraded. This makes sense since a white surface will scatter the light making the light that reaches your eye much dimmer. Also the surface roughness of the white surface will lower the resolution. Tim got around this by replacing the white surface with a mirror (3 above). 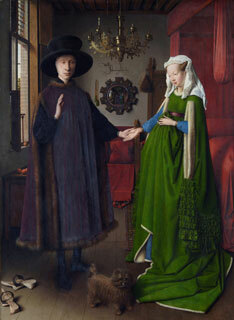 At first he used a flat mirror (at 6), but later changed to a concave mirror which added some magnification to the image of the scene making it easier to paint fine details. 4. Tim saw curvature in one of the lines. I think it was barrel distortion (Wiki) from his lens. What I think is missing is to use magnification between the artist's eye and the canvas. The quality of details when working at say 4x magnification makes a tremendous improvement in the results. Celestron 8" Reflector & Wedge Tripod mount. By adding cross hairs in the focal plane of the eyepiece they will be in focus at the same time as the far object. In the Edmund Scientific booklet on Collimating Systems the NC-3 shown uses what appears to be a 28V aircraft screw based lamp. But there is no mention of the sight model, even though it appears to be the NC-3. The NC-3C uses the 222 pre-focused penlight lamp, see Fig 2 below. 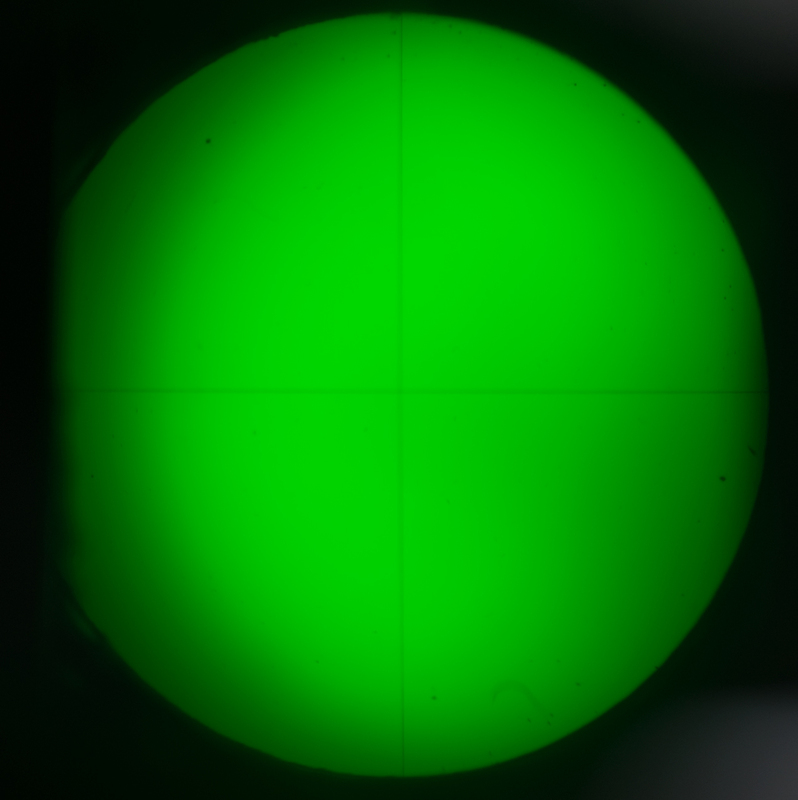 Fig 3 below made by using a flashlight to light up most of the green filter-reticle seen in Fig 2. Maybe the A and/or B versions used the larger lamp? 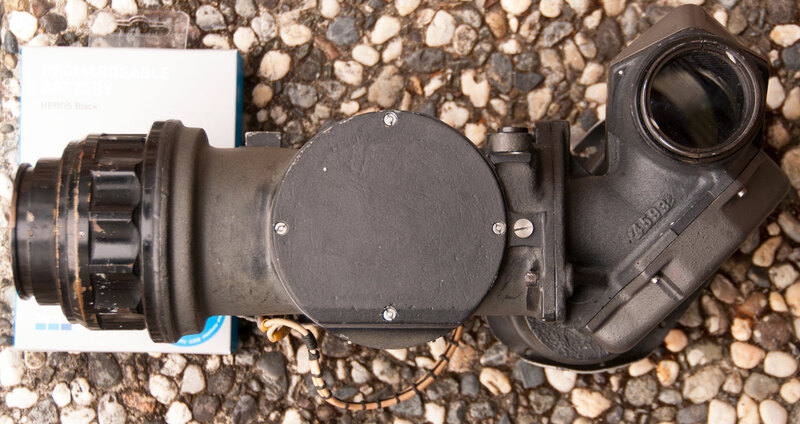 Camera aimed into55mm dia. lens. 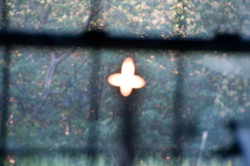 have a Head Up Display combining the cross-hairs and his view. Bought this as a pig in a poke (Wiki). The eBay description did not match the photos but it looked interesting and sold at a steep discount. 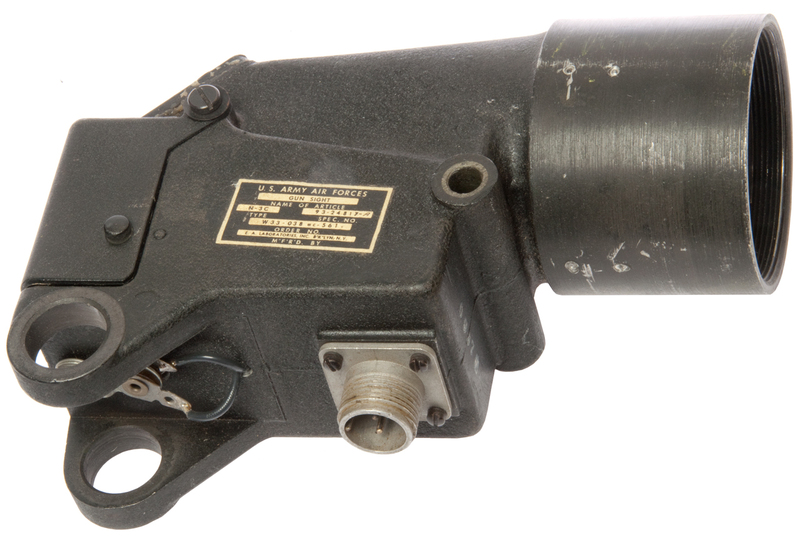 The presence of a circle reticle that's illuminated for nighttime use and clear or two levels of yellow filter as well as the weight of this item and the U.S. Navy markings seem to indicate it's for use on a ship or boat, not an aircraft. Most likely as part of a sighting system where the reticle moves in response to some X - Y type input. Fig 1 proped up "looking out into the forest"
The two rubber gaskets would be mounted to a bulkhead that would allow changing the lamp, setting the filter and some machine would control the reticle position using the two shafts. 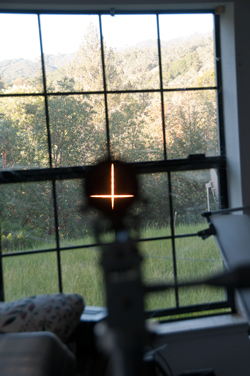 Fig 6 Camera focused at infinity to show off the reticle. 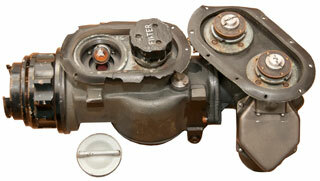 Round plate is for access to filter wheel. An optical collimator (Wiki: Optical Collimator, Collimated light) makes a light beam where all the rays are parallel, like coming from infinity. An addition would be to place a reticle at the focus of the output lens so that the reticle image is projected along with the light. In 1955 Edmund Optics (this part now called Anchor Optics) printed a white paper "Collimating Systems" that talks about modifying the military N-3x gunsight and also how to build a collimator starting from scratch including a reticle. Also included were simple procedures for using it as a target at infinity, measuring the angular field of a telescope, the focal length of an eyepiece. Another white paper "Condense and Project Light" includes similar information as well as more about lamps and other types of projectors. The assembly tolerances are very loose. This came with the lens cell misaligned, but it was easy to square it up. On the left is the lamp house with a solid metal (+) reticle located where the OD steps down. In the center is a cylinder each end of which has three thumb screws and on the bottom a 1/4-20 tapped hole. On the right is the objective tube with a lens ( 33m dia x 7" (180mm) FL) at the right end. When the length is set to minimum the exit light is collimated, but by extending the tubes it's possible to focus the (+) much closer. This device is marked K&E. It has three optical ports. One is an adjustable eyepiece which is at right angles to the other two ports. There's a 2 position "switch" that changes the optics. When the green sleeve is positioned where the eyepiece was removed from a telescope you an see an image through the telescope. When the switch is moved the image goes black but then a flashlight into the clamp ports shines through the telescope. With the tube lengths set for infinity when you look into the light beam with binoculars it's very difficult to get everything aligned so you can see the (+) when hand holding both of them. So the "optical lever" effect is very strong. Note in both Fig 4 and Fig 5 below there are triangles pointing to the center located at the edge of the lighted circle at 12, 3, 6 and 9 o'clock positions. Fig 1 marked K+E on eyepiece tube. Green sleeve at bottom rotates. 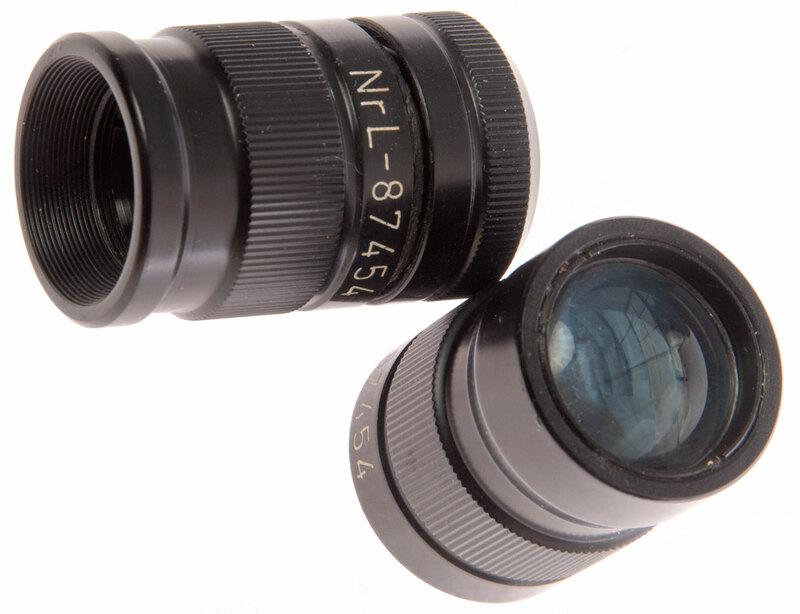 Eyepiece at left has diopter adjustment. Bump at bottom right is the "switch". This is the eyepiece works position of the switch. 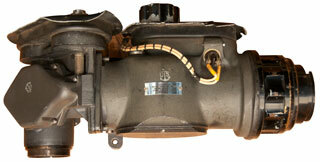 This unit is line powered and has the transformer and fuse in the carry box with long cords for the line and pointer. The pointer has a push-button to turn on the lamp. Uses a ______ automotive type lamp which tests as good. It arrived DOA. Troubleshooting to follow. 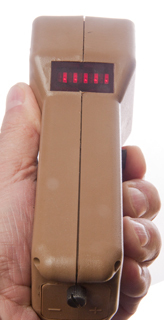 When the hand grip (the part which includes the push-button switch) is unscrewed from the head of the projector and a flashlight is used to supply light an arrow symbol can be focused on the wall. Like the Promaster pointer below the symbol that's projected is light against a dark background. So projecting a black symbol against a light background is not a good idea when the subject is a slide show, Power Point presentation or video on a screen. 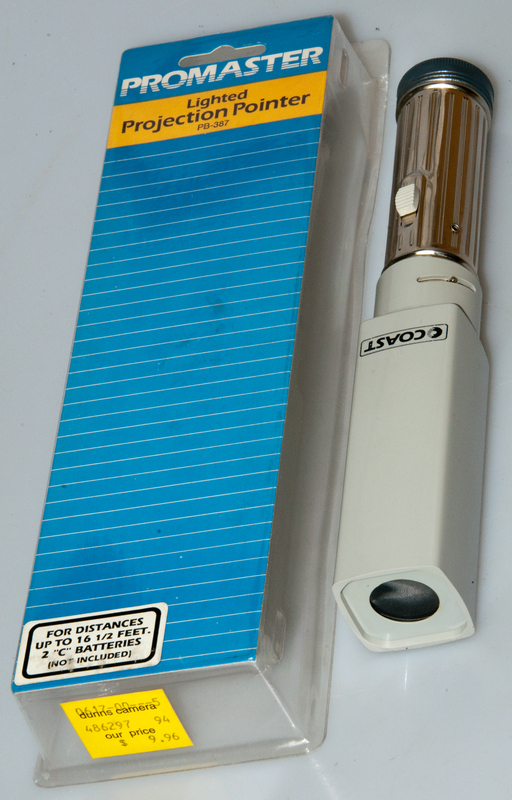 This is a two "C" cell flashlight with an added plastic extension that holds an objective lens about 5" in front of the special lamp (p/n NP3560LPB). The lamp filament is in a "V" shape with the plane of the "V" at right angles to the flashlight centerline. The objective lens has a helical focusing mechanism that allows focusing the objective on the filament and the screen. The flashlight body can be rotated so that the "V" can be pointed to the subject of interest. It's not clear how you access the lamp. Tell me if you know. The autocollimator (Wiki: Autocollimator, Autocollimation) encompasses the collimator with a reticle but adds a viewing telescope. By comparing the reflected image from the reticle with the reticle itself by means of the telescope very small angles can be measured. A half silvered mirror or prism is involved which shows up as an optical system with a right angle axis. The assembly tolerances are very tight. In patent search for autocollimators things come up which I think should be called retro-reflectors (Wiki), like used for traffic signs. The idea is that light will be reflected back in the direction from which it came. These are used in surveying to increase the range of optical rangefinders. 1736682 Optical Lever, Tuckerman Louis Bryant, Nov 19, 1929, 356/154, 359/872, 359/226.1 - although not exactly like modern units, still captures the idea. 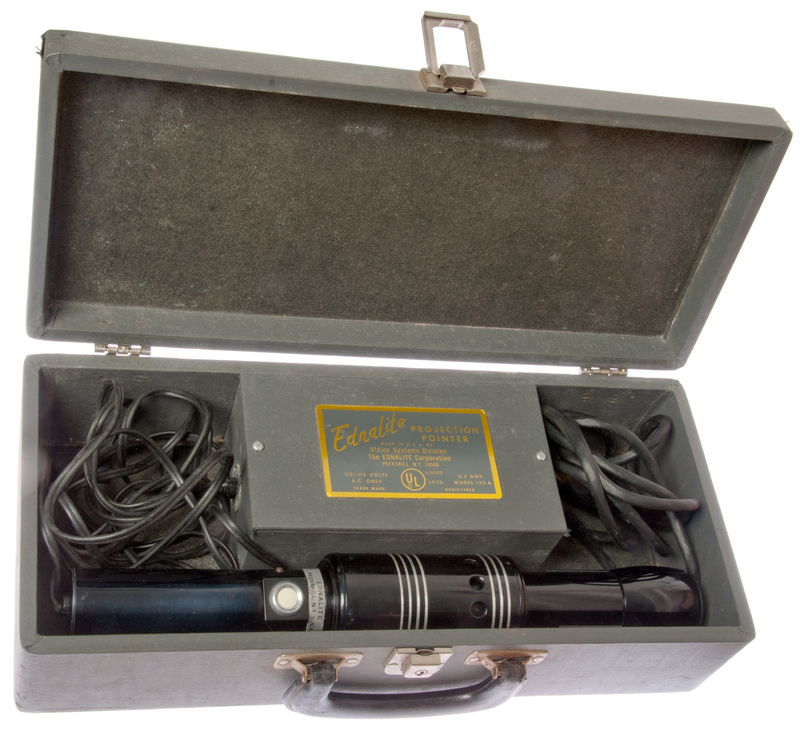 Maybe the oldest patent for an autocollimator? 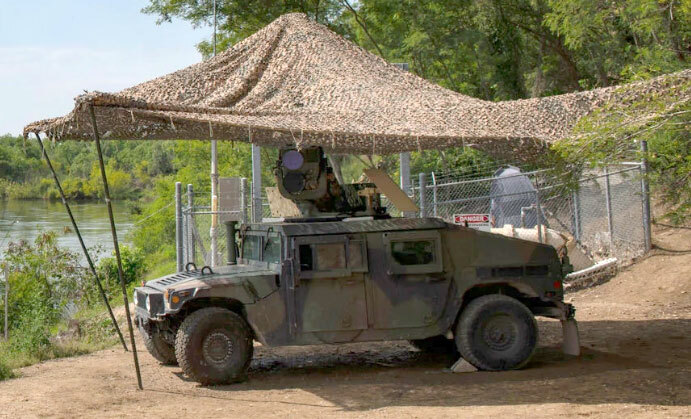 Click photo at left for a better view of the HMMWV with optics on roof. Optical Books: Search Term (eBay, Amazon, &Etc): "SPIE Field Guide"
[an error occurred while processing this directive] page created 13 Feb 2002.